Spending quality time with the family is important, but you might not always have the time to pull out a board game or watch a movie. 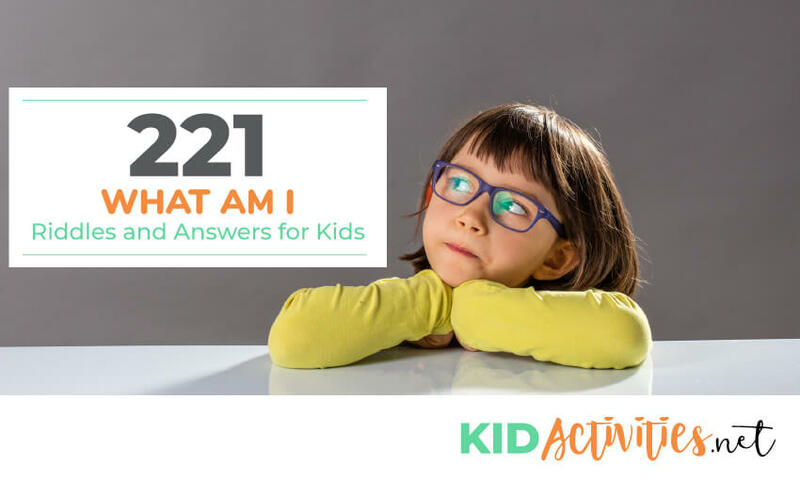 When you’re looking for something that will keep everyone entertained in a short amount of time, try these 221 what am I riddles and answers for kids that we have prepared for you. 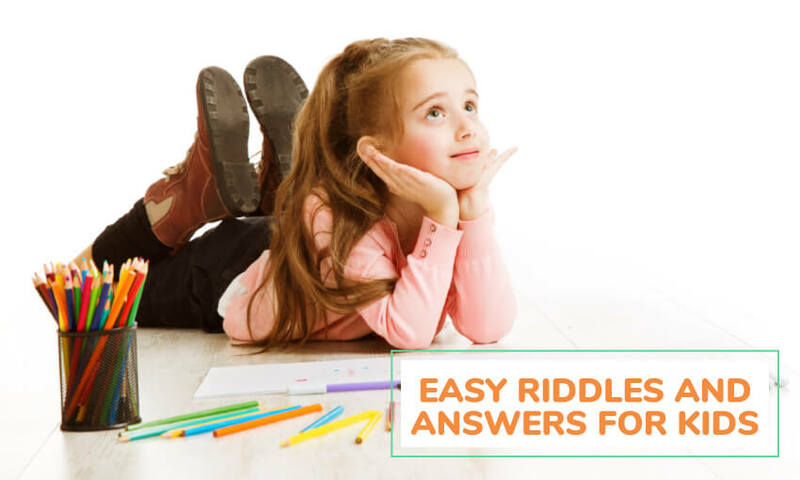 They’re separated into categories from easy to hard, so you can enjoy these riddles with everyone of all ages in the family. 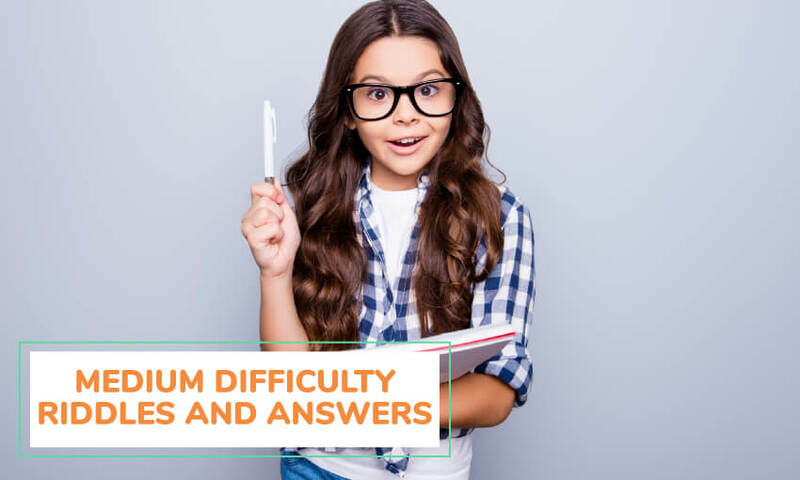 You can enjoy these while you’re at the dinner table, in a waiting room, keeping the kids entertained while traveling, or just looking for a way the family can spend quality time together. 1. I’m hot and I live in the sky. I’m bright, don’t look directly at me. I will disappear at night. What am I? 2. I’m red, blood pumps through me, and I live in your body. I’m the symbol for love, please don’t break me. What am I? 3. I’m round and I go up and down. You can throw me, and you can catch me. Please be careful with me near the windows. What am I? 4. Please be patient, I’m new to the world. I cry a lot, please give me milk. Everyone smiles at me, please pick me up. What am I? 5. I’m usually green and brown. With rain, I can live for a long time. I’m a house for a bird and kids love to climb me. What am I? 6. I’m beautiful in many different colors. I smell nice; you can pick me if you want. I will live for a long time just don’t forget to water me. What am I? 7. I come in many different colors and I get bigger when I’m full. I will float away if you don’t tie me down and I will make a loud sound if I break. What am I? 8. My body is usually made of brick or wood and I come with a lot of windows and doors. Keep me nice and clean for visitors and I will keep you warm and cozy. You can sell me when your family grows. What am I? 9. I’m not a friend of paper and you will want to keep me away from small children. You can use me to create some art or change the style of your hair, but whatever you do, don’t run while holding me in your hands. What am I? 10. I will keep you entertained with my comedy and my drama. I’m shaped like a cube and I can attach to your wall. What am I? 11. I come in a pair and you will need to tie and untie me. Don’t go outside without me and take me off before you go in the water. I come in a useful box. What am I? 12. I have buttons or a zipper, pockets, and sometimes a belt. I’ll protect you from a cold wind, but you won’t need me in the summer. When you are done with me, please hang me in the closet. What am I? 13. I am a tasty treat you can lick with your tongue. I come in a bowl or a cone. One of my common flavors is vanilla. What am I? 14. You use me when you’re resting. I’m soft and comfortable and I protect your neck and head. You can ask for me on an airplane, and fighting with me can be fun. What am I? 15. I am full of keys, but I cannot open any door. What am I? 16. I am full of holes, but I can still hold a lot of water. What am I? 17. The more you take away from me, the larger I become. What am I? 18. I have hands, but I cannot clap. What am I? 19. You can catch me, but you can’t throw me. What am I? 20. I come down, but I never go up. What am I? 21. I am a ball that can be rolled but never bounced or thrown. What am I? 22. Fill me up with hot or cold. Put anything in me and I will make sure I’ll hold. What am I? 23. White and sparkly I can be, kids make angels out of me. What am I? 24. I can jump, and I can climb. With my many legs, I swing from tree to tree. I can make a house much bigger than me. What am I? 25. I give milk and I have a horn, but I’m not a cow. What am I? 26. I have four legs but no tail. Usually, I’m heard only at night. What am I? 27. I get wet while drying. What am I? 28. I go up but never come down. What am I? 29. I get smaller every time I take a bath. What am I? 30. I must be broken before you can use me. What am I? 31. I have a thumb and four fingers but I’m not alive. What am I? 32. I come out at night without being called. I’m lost in the day without being stolen. What am I? 33. I have a neck but no head. What am I? 34. I have one head, one foot, and four legs. What am I? 35. I have teeth, but I don’t eat. What am I? 36. I can fly without wings and cry without eyes. What am I? 37. I have four teeth and a tail, but I have no arms and legs. What am I? 38. I have a spine but no bones. What am I? 39. I’m white and perfect for cutting and grinding. I’m a useful tool for most animals. What am I? 40. I jump when I walk and sit when I stand. What am I? 41. I have a straight back and sharp teeth for cutting. What am I? 42. I’m soft and hairy from door to door. I’m the pet that always stays on the floor. What am I? 43. I have a head and a tail, but no arms and legs. What am I? 44. I can run but not walk. Wherever I go, you are close behind. What am I? 45. I am a nut with a hole. What am I? 46. When I point up, it’s bright. When I point down, it’s dark. What am I? 47. I am a fruit with seeds on the outside. What am I? 48. I can wake you up in the morning without electricity, batteries, or winding. What am I? 49. I have wheels and flies, but I’m not an airplane. What am I? 50. I have two eyes in the front and a lot of eyes on my tail. What am I? 51. I am gold, or I can be black and white. I’m a symbol for a nation when freedom took flight. What am I? 52. I have a frame, but no pictures. I have poles, but I don’t stand up. What am I? 53. Against the sun I protect your eyes. I’m often worn on the face of spies. What am I? 54. I give people a huge fright, but at the end I’m sweet. I usually celebrate at night. What am I? 55. I am edible, pink, and a great summer treat. What am I? 56. You used to visit me when you needed to know, but I’ve been lonely since the internet was born. What am I? 57. I look like a tiny trombone. I keep it all together. What am I? 58. I begin all your sentences. What am I? 59. I am a shiny metal sheet used to cover food. What am I? 60. I never forget. What am I? 61. You must touch me before you run to second. What am I? 62. I’m the tool fairies use. What am I? 63. I hop around hiding eggs. What am I? 64. I am known for my tuxedo that I wear while marching. What am I? 65. I’m white and I scare people. What am I? 66. I keep boats from moving through the water. What am I? 67. I am the kind of food that monkeys like to eat and if you throw my clothes on the ground, people could slip and fall. What am I? 68. I’m pinched by Grandma’s and Aunts. What am I? 69. If you’re good, I will visit you once a year. What am I? 70. I am a home for feathered animals. What am I? 71. Old McDonald owns me. What am I? 72. I spit a lot. You can get wool from me. What am I? 73. I’m a small piece of land in the water. What am I? 74. I have every color, but no gold. What am I? 75. I’m the kind of fish that chases a mouse. What am I? 76. I’m orange and I sound like a parrot. What am I? 77. I’m the kind of dog that chases everything red. What am I? 78. I help engines to spin and pants to stay up. What am I? 79. Take off my skin; I won’t cry but you might. What am I? 80. I have wings, so I can fly. I’m not a bird, but I soar high in the sky. What am I? 81. You can find me in soup or on a hamburger. I am green when I am raw and red when I’m ripened. I wait to become a condiment. What am I? 82. I reach for the sky but clutch for the ground. Sometimes I leave, but I’m always around. What am I? 83. I always follow you around everywhere you go at night. I look very bright to people, but I can make the sun very dark. I can be in many different forms and shapes. What am I? 84. My home is in the water. You can drive me if I don’t make you sick. Be gentle, don’t put a hole in me, and when you’re done, please tie me up. What am I? 85. There are millions of me lighting your way at night. What am I? 86. Children love to play with me but not inside, only out. Watch out for the wires and trees for you could tangle me. Look up and watch me dance, the faster you run the faster I will wiggle. What am I? 87. I’m a safe ride, though some people fear me. I go up very high in the sky. You can watch movies but be careful or your ears will pop. What am I? 88. The ocean is my real home. It’s common to find me in blue, red, or gold. Humans trick me into biting. My favorite thing is blowing bubbles and if you take me home with you I will be an easy pet to take care of. What am I? 89. I can connect you to the world but sometimes you ignore me. I’m covered with buttons and my sounds can be unique. Don’t drop me or I might crack. What am I? 90. With multiple colors, I appear after a storm. People like to point and take pictures of me. Some say if you look hard enough you will find gold on the other side of me. What am I? 91. I live in the jungle and I love to eat bananas. I’m very similar to a human but I have a curly tail. What am I? 92. I have a face and two hands, but I have no arms or legs. What am I? 93. I’m tall when I’m young and I’m short when I’m old. What am I? 94. If I drink I die, If I eat I live. What am I? 95. People buy me to eat, but people never eat me. What am I? 96. I never ask questions, but I’m always answered. What am I? 97. I do not speak, and I cannot hear, but I always tell the truth. What am I? 98. I can go up the chimney when I’m down, but I cannot go down the chimney when I’m up. What am I? 99. I have no legs, but I always run. What am I? 100. You see me once in a year, twice in a week, but never in a day. What am I? 101. I lose my head in the morning, but I get it back at night. What am I? 102. I’m round on both sides but high in the middle. What am I? 103. I go up and down, but I never move. What am I? 104. You find me once in the morning, twice in the afternoon, but never in the evening. What am I? 105. You can call me curly, you can call me bald. You can call me gray, you can call me shaggy, and I can even be short or long. What am I? 106. The more you have of me, the less you see. What am I? 107. Say my name and I will disappear. What am I? 108. The more you take, the more you leave behind. What am I? 109. I’m an instrument that can only be heard, never touched or seen. What am I? 110. My rings are not worth much, but they tell my age. What am I? 111. I cannot be burned by fire or drowned in water. What am I? 112. I’m a coat that can only be put on wet. What am I? 113. I occur once in a minute, twice in a moment, and never in a thousand years. What am I? 114. I get sharper the more I’m used. What am I? 115. I can be as big as an elephant, but I weigh nothing. What am I? 116. I’m a bird who can lift the most. What am I? 117. You can make me, but you can’t see me. What am I? 118. I have eyes, but I don’t see. I live in the dark until you need me. What am I? 119. I can never be thrown but I can be caught. People always try to get rid of me. What am I? 120. I’m not alive, but I can die. What am I? 121. I can be opened but never closed. What am I? 122. I wiggle, and I cannot see. Sometimes you find me on a tree. I really don’t like being on a hook and sometimes I’m a character in a book. What am I? 123. I am a room, but you cannot enter me. Sometimes I’m poisonous, and sometimes I’m delicious to eat. What am I? 124. I have a neck, but no head. I have two arms, but no hands. I’m always attached to you. What am I? 125. I have three eyes, but only one leg. Obey me or you might get in trouble. What am I? 126. I can wave my hands at you, but I never say good-bye. Use me when you’re hot and I will cool you off. What am I? 127. I sit in the corner while traveling around the world. What am I? 128. People need me, yet they’re always giving me away. What am I? 129. I go up and down at the same time. Up toward the sky and down toward the ground. What am I? 130. I sleep when you’re awake, I’m awake when you go to sleep. I have no feathers, but I can fly. What am I? 131. You use a knife to slice my head and weep beside me when I’m dead. What am I? 132. You can throw me away, but I will always come back. What am I? 133. I’m most commonly found in a rainforest. Lazily I hang upside down by my odd number of toes. What am I? 134. I may seem real, but it always turns out that I was only there in your sleep. What am I? 135. Forward and backward is what I do all day. I come in all different sizes, shapes, and colors. To some, I might fright, but for most, they go night night. What am I? 136. I roam through the lands hoping to rescue my love. I search high and low, and I will stomp on you if you get in my way. What am I? 137. I am a portal to another world which you cannot enter. Only you can see me, but I can’t see you. What am I? 138. I live in buildings and I am used for light. I hate being touched, and with force, I will break. What am I? 139. You can build or destroy. Let creativity soar but be careful at night. What am I? 140. I can be sweet or sour. I never rhyme with other words. What am I? 141. I twist and turn and leave a loop. What am I? 142. I am needed for most animals and you can find me in a book. What am I? 143. I am a canine baby. What am I? 144. I’m a water mammal who is always busy. What am I? 145. I save lives on the ground and in the air. What am I? 146. You use me to see inside of someone. What am I? 147. My tail is long, my coat is brown. I like the country, and I like the town. I can live in a house, and I’m happy in a shed. I come out to play when you’re in bed. What am I? 148. I spend the day in the window and I hide at night. When I get hungry I will visit your table for a meal. What am I? 149. I go around the yard, but I do not move. What am I? 150. Without me, you would lose your head. What am I? 151. I fly forever, I rest never. What am I? 152. My days are numbered. What am I? 153. I always go to bed with my shoes on. What am I? 154. I fill up a room, but I take up no space. What am I? 155. I can go up and down without moving. What am I? 156. You can serve me, but you can’t eat me. What am I? 157. I can point in every direction, but I can’t reach the destination by myself. What am I? 158. I’m not clothes but I cover your body. The more I’m used, the thinner I grow. What am I? 159. I’m as flat as a leaf and round as a ring. I have two eyes, but I can’t see a thing. What am I? 160. I have hundreds of legs, but I can only lean. You make me feel dirty, so you can feel clean. What am I? 161. I am very thin and come in many different colors. I can be found in every country, and even in your home. I am very important for you to be creative, and I can even help you learn. What am I? 162. I am associated with spring and I love to hop around in the grass. I like playing in your vegetable garden and my teeth are long and sharp. What am I? 163. Carry me with you and I will keep your hair dry. I can be long or short, opened or closed. I won’t be a problem unless you use me in the house. What am I? 164. People love me for winter sports. Go up or down, but safety is the key. It’s cold at the top and warmer down below. What am I? 165. You throw away my outside, then you cook my inside. You eat my outside, then you throw away my inside. What am I? 166. I have a head but never weep. I have a bed but never sleep. I can run but I never walk. I have a bank but no money. What am I? 167. I have keys but no locks. I have space but no room. You can enter but you can’t go outside. What am I? 168. I have no bones and I have no legs, but if you keep me warm I will soon walk away. What am I? 169. You will throw me away when you want to use me, and you will take me in when you’re done with me. What am I? 170. I go around all the places in the cities, towns, and villages, but I never go inside. What am I? 171. I don’t have eyes, ears, a nose, or a tongue, but I can see, smell, hear, and taste everything. What am I? 172. I have rivers, but I don’t have water. I have dense forests, but I have no trees. I have cities, but no people in them. What am I? 173. If you have me, you don’t share me. If you share me, you don’t have me. What am I? 174. I have four eyes, but I cannot see. What am I? 175. I’m easy to get into, but hard to get out of. What am I? 176. I can be hot, I can be cold. I can run, I can be still. I can be hard, and I can be soft. What am I? 177. Sometimes I go backward, but often I go forward. I can trip, I can dance, and if you play the right music I can even do the Conga. What am I? 178. I get dirty, I get clean. I can be delicate, I can be rough. People often shake me or smack me against my own kind. What am I? 179. I am a fruit that can talk, calculate, and tweet. It is well-known that I don’t come cheap. What am I? 180. I am a seed with three letters in my name. Take away the last two, and I still sound the same. What am I? 181. I start with an “E” and end with an “E”, but I only have one letter. What am I? 182. I am constantly overlooked by everyone, yet everyone has me. What am I? 183. I belong to you, but others use me more often than you do. What am I? 184. The faster you run, the harder it is to catch me. What am I? 185. I live in the winter, die in the summer, and I grow with my roots upward. What am I? 186. I have three feet, but I cannot walk. What am I? 187. The one who makes me doesn’t want me. The one who buys me doesn’t need me. The one who uses me never sees me. What am I? 188. I sound like one letter, but I’m written with three. I show you things when you look through me. What am I? 189. I can be cracked, and I can be played. I can be told, and I can be made. What am I? 190. I don’t have eyes, but once I did see. Once I had thoughts, but now I’m empty. What am I? 191. I have a tongue, but I cannot talk. I have eyes, but I cannot see. I have a soul, but I cannot be saved. What am I? 192. I have a head, body, and feathers to fly, but I am not alive. How far I will go depends on you. What am I? 193. I go in dry and come out wet. The longer I stay in, the shorter I get. What am I? 194. I take off my clothes when you put on your clothes. I put on my clothes when you take off your clothes. What am I? 195. I have no voice, but I can teach you all there is to know. I have spines and hinges, but I am not a door. Once I’ve told you all, I cannot tell you more. What am I? 196. I come in different colors and shapes. Some parts of me are curvy, some are straight. You can put me anywhere you like, but there is only one right place for me. What am I? 197. I am a food with five letters. If you remove the first letter I am a form of energy. Remove two and I am needed to live. Scramble the last three, and you can drink me down. What am I? 198. With me, the thunder comes before the lightning, and the lightning comes before the cloud. The rain dries all the land it touches, wrapping the earth in a blood red shroud. What am I? 199. People walk in and out of me. They push, and I follow. When they walk out of me, I close up and I stay waiting for the next person to walk into my life. What am I? 200. I am the only word that looks the same when spelled upside down. What am I? 201. I am wood that is neither hard, straight, or crooked. What am I? 202. Though I am only two words, I have thousands of letters in me. What am I? 203. I transfer oxygen from the atmosphere to your blood. What am I? 204. I am a shimmering field that reaches far, but I have no tracks, and I am crossed without paths. What am I? 205. I’m hard as a rock, yet light as a feather, and passed on to others. Poor people need me, rich people have me. What am I? 206. I am a house with two occupants, sometimes one, but rarely three. Break the walls, eat the borders, then throw me away. What am I? 207. The more you work, the more I’ll eat. You keep me full, I’ll keep you neat. What am I? 208. I live off a busy street, if you want, you can stay for an hour or two. If you don’t pay rent, I’ll tell on you. What am I? 209. I’m the building with the greatest number of stories. What am I? 210. I am many people’s favorite place, even though many don’t remember their stay. You will love to come but hate to leave. If you get cold, you can use my sleeves. What am I? 211. My head bobs lazily in the sun. My face is yellow, my hair is white, and my body is green. What am I? 212. I can be repeated, but rarely in the same way. I can’t be changed, but I can be rewritten. I can be passed down, and I should not be forgotten. What am I? 213. Take me out and scratch my head. I am now black, but I once was red. What am I? 214. You went into the woods and got me. You sat down to find me. You took me home with you because you couldn’t find me. What am I? 215. I am used in most sports and I have four holes. I come in different colors and I share my name with a state. What am I? 216. I am black when you get me, red when you use me, and white when you’re finished with me. What am I? 217. I can be long, or I can be short. I can be grown, and I can be bought. I can be painted, or I can be left bare. I can be round, I can even be square. What am I? 218. I have two legs, but they only touch the ground when I’m not moving. What am I? 219. I make a loud noise when I’m changing, and I grow larger and weigh less when I do. What am I? 220. I have no eyes, no legs, and no ears, but I’m strong enough to move the earth. What am I? 221. I’m red, but I can be green. At times, I might even be yellow. What am I? 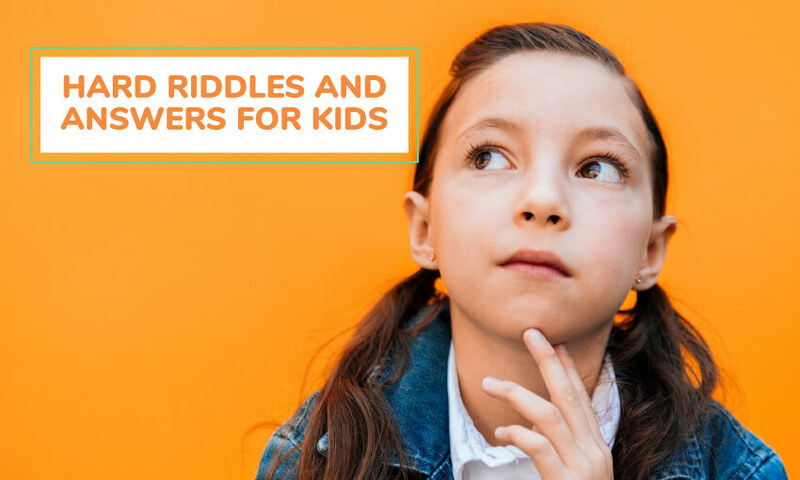 Now that you have this list of 221 what am I riddles and answers for kids, get the fun started and let the riddles begin! Make sure you check out our getting to know you games and activities for kids as well.